Most of what people need and use every day gets to them by a truck. That demands a significant amount of truck transportation. In an effort to manage the environmental impact of transporting all of those goods, the US Environmental Protection Agency launched the SmartWay program in 2004. 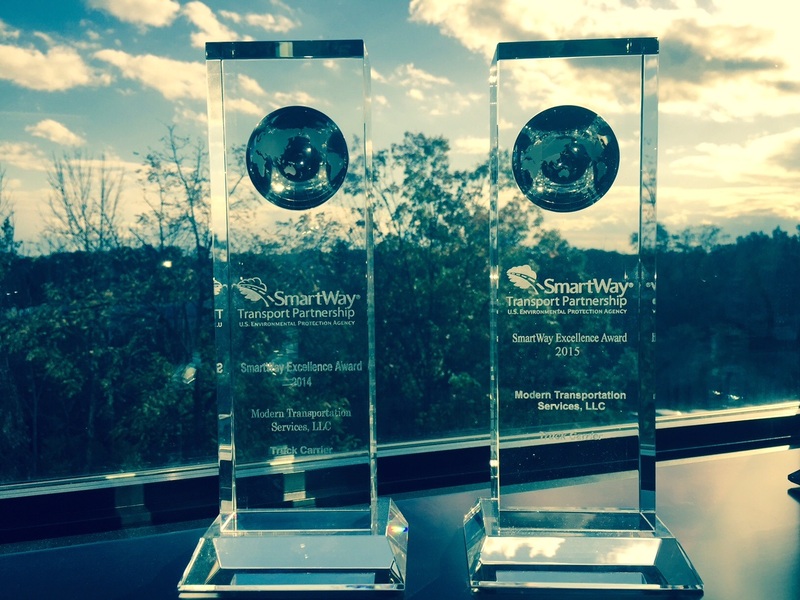 Modern Transportation has not only been a SmartWay Partner since 2010, but in 2014, 2015 and again in 2016, we were selected as a winner of SmartWay’s Excellence Award. These achievements put us in a small pool of the very top-performing carriers in the US. In 2012, Modern was the first commercial carrier to run production lanes in tractors powered by 12-liter liquefied natural gas (LNG) engines. This commitment to the environment has resulted in a dramatic reduction of our carbon footprint. While we are proud of these accomplishments, Modern’s commitment to sustainability and good stewardship of the environment is not motivated by awards. Rather, we recognize this one great reality: We live in the same world in which we work. Our friends, families and loved ones are the reason we maintain our passionate commitment to preserving the environment.